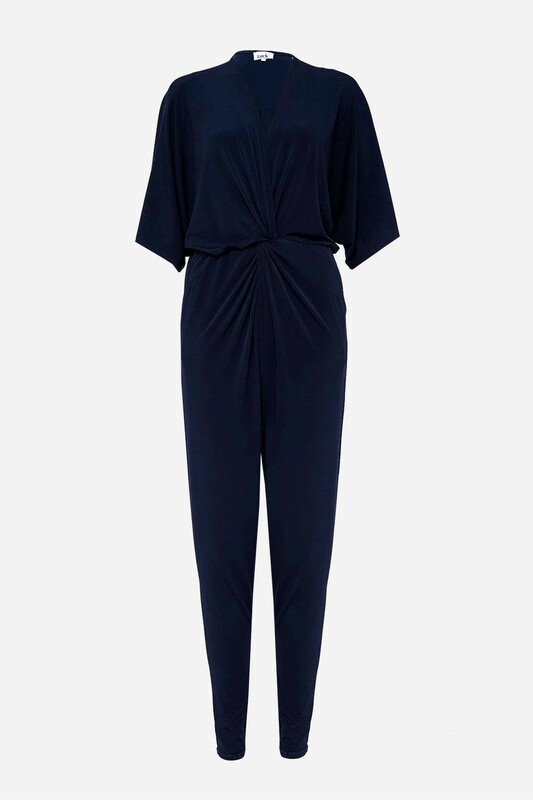 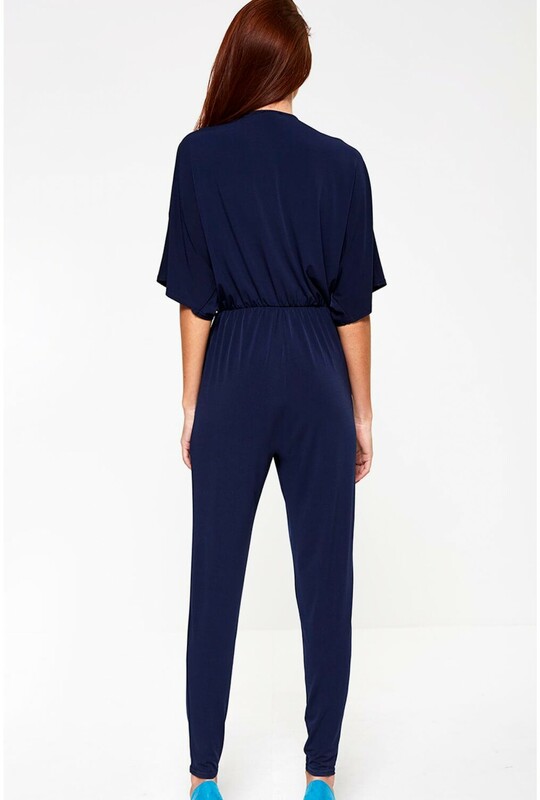 A jumpsuit is always a dependable go-to option for those last minute occasions. 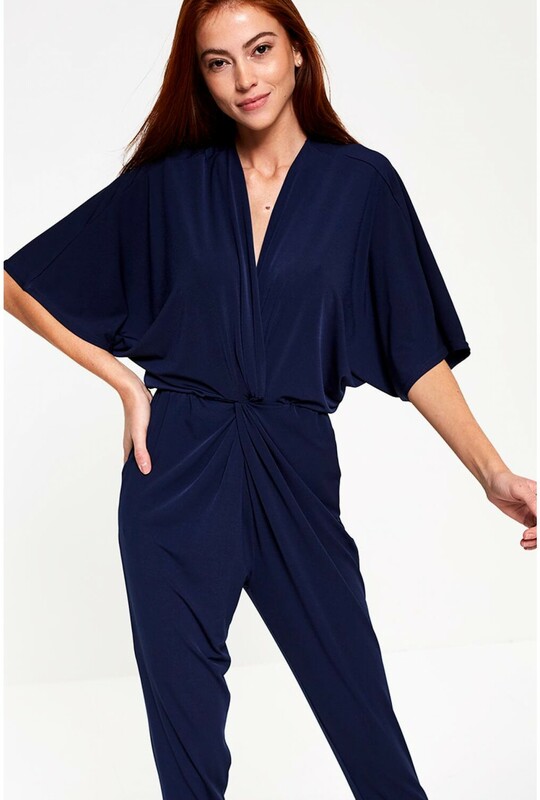 Featuring short flared sleeves, side pockets, a plunging V-neckline and draped detailing across the tummy area. Team with your favourite heels and a statement clutch bag for an effortless occasion worthy look.